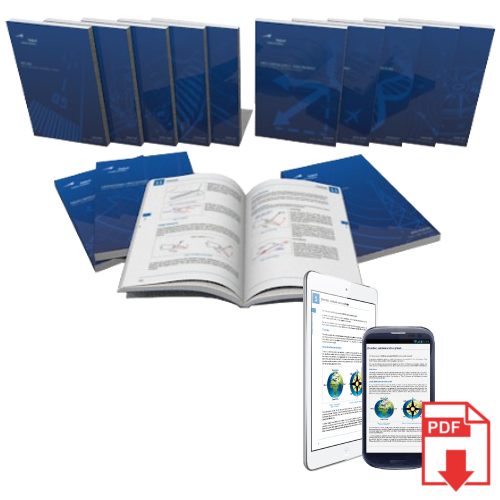 This convenient new bundle contains our full set of ATPL Manuals in hardcopy, with downloadable eBooks so that you can study wherever you go. The eBooks are delivered as downloadable PDFs and can be viewed on any device capable of viewing PDFs. After purchasing, you will find the eBook downloads in My Account > Downloads. Each eBook is a separate PDF file; file sizes are in parentheses. ATPL 11: Performance Based Navigation download is included with a purchase of this bundle.